All the necessary steps will be taken to remove the existing salary anomalies in teaching service, says Minister of Education Akila Viraj Kariyawasam. The minister stated this speaking to the media following an event held at the Rathnalankara Vidyalaya in Alawwa. He said making use of school children to achieve the political agendas of certain people cannot be approved. 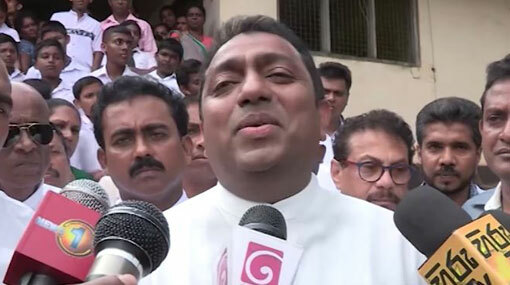 Stating that anomalies in teachers’ salaries are not a recent issue, Minister Kariyawasam stated that they intend to appoint a committee and receive its recommendations in this regard and that this process would take some time. The basic salary of a teacher has been increased by 100 percent within the past four years and at present, it is Rs 46,000, he said. The minister stated that in 2015, the basic salary of a Grade 3 teacher was at Rs 16,100 however, they have increased up to about Rs 33,300. The minister further commented that the lives of school children should not be involved with political agendas.